A show to be considered by companies with some “kid” actors available (perhaps 18 or older to play younger, in their teens), a small-ish stage and limited resources. Very good for Little Theater, Dinner Theater, Stock Companies, smaller (and mid-sized) regional houses and companies, perhaps Off-Broadway with an interesting revival scaled down, some of the fat in the score and script trimmed. There’s frank talk for the mid 1800s, regarding slavery. The “N” word gets frequent use, as it does in the novel. This was Twain’s way of making explicit the bigotry he saw in the south. It is quite powerful, and can be disturbing. If your audience isn’t up for this, do another show. Same for your cast. Your singers must be comfortable with blues-bluegrass-gospel styles. If they’re not, this won’t work. 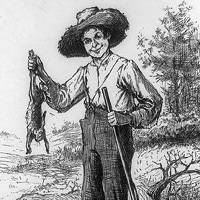 ACT ONE: In pre-Civil War Missouri, near St. Petersburg, the vagabond child Huckleberry Finn describes the events by which he and Tom Sawyer had discovered a fortune. Huck has been adopted by the Widow Douglas and her spinster sister Miss Watson, and his guardians, Judge Thatcher, Huck’s best friend Tom Sawyer, and practically the entire town inform Huck that he needs to learn to read and write and read the Bible if he ever hopes to go to Heaven (“Do Ya Wanna Go To Heaven?”). The only one who doesn’t attempt to pass judgment on Huck is Miss Watson’s slave, Jim, who predicts that he will lead a life of “considerable trouble and considerable joy”. Exasperated with the constraints on his daily life, Huck escapes his bedtime and steals away to Tom Sawyer’s “hideout”, an old cave. In the cave, Tom, Huck and a group of their friends plan to form a band of robbers who will rampage around the countryside (“The Boys”). Huck, on his way home, thinks about the confines of his life and his wish that he will find meaning in his life. (“Waitin’ For the Light To Shine”) Huck returns home in the darkness to find his Pap, a violent drunk, waiting for him, who drags him off to his cabin in the woods. In his drunkenness, Pap swings from tomfoolery to extreme violence as he rails against a government that would take his son (and his son’s money) away from him (“Guv’ment”). Pap attempts to kill Huck, hallucinating that he is the Angel of Death, but passes out in an inebriated mess. The next day Pap goes off to trade and Huck takes the opportunity to escape. He kills a pig and scatters the blood and gore around the cabin in an effort to make it appear as if he’s been murdered. Huck reflects that this is just the sort of thing Tom Sawyer would do, and Tom appears to sing a vaudeville-style turn about the usefulness of Hogs. (“Hand For the Hog”). 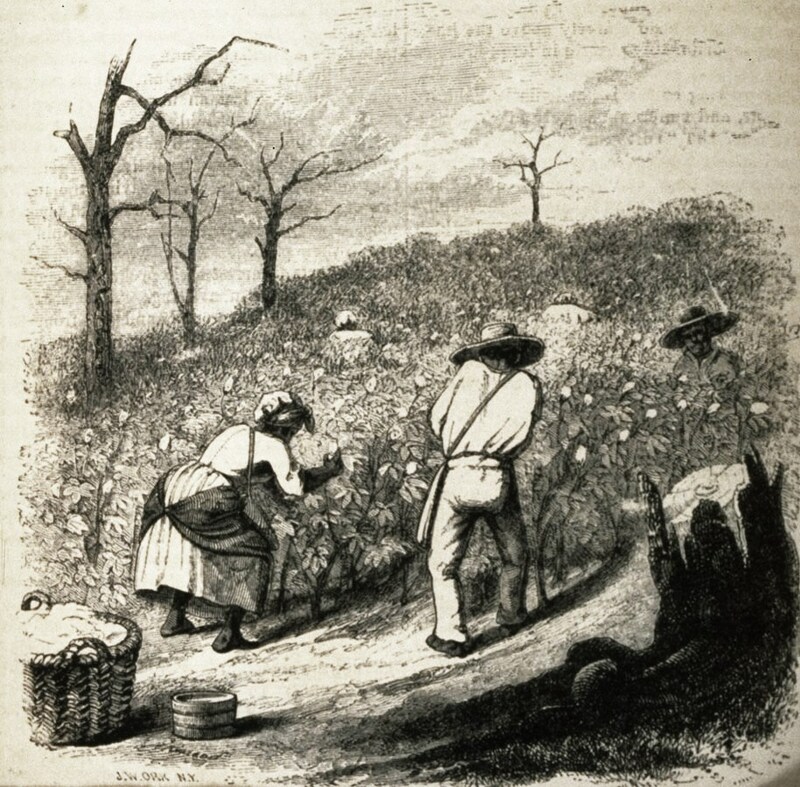 Huck flees to the nearby Jackson’s Island, where he, alone, asserts his self-assurance (“I, Huckleberry, Me”). But Huck isn’t alone; Miss Watson’s slave, Jim, is there as well. He has run away to avoid being sold down the River to New Orleans. Despite his unease with the concept of abolitionism Huck offers to help Jim reach freedom in the North. A posse is after Jim: with only moments to spare, they find a raft and get it afloat in the of the mighty Mississippi River (“Muddy Water”). 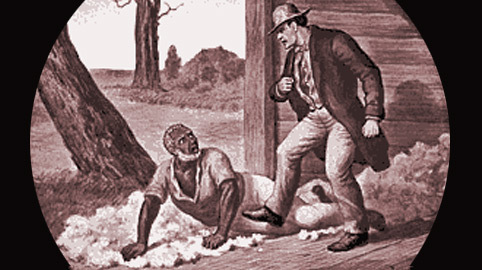 Jim and Huck travel only at night and don’t get far from Jackson’s Island before they are reminded of the seriousness of their actions: a boat carrying runaway slaves back to their masters passes them in the night (“The Crossing”). The days are long as the two forge their way down the river. They pass a flooded house, and a dead man floating in the water that Jim will not let Huck look at. As they sing of the beauty of the River (“River In the Rain”) in a fog, they sail past the mouth of the Ohio — their path to freedom. Soon after, they pick up two grifters who commandeer the small raft as they escape the latest mob on their tail. The con men claim to be a Duke and a King, the long lost heirs to the Duchy of Bridgewater and the French Throne. Huck is intrigued by the delinquent “royals”. The King and the Duke commandeer the raft and plot to sell Jim back into slavery for their own profit, unbeknownst to Huck (“When the Sun Goes Down In the South”). ACT TWO: Huck, Jim, the Duke, and the King wash ashore in Bricktown, Arkansas, and attempt to fleece the rubes they find. The Duke and King come up with a scheme to make money (“The Royal Nonesuch”), tricking the townspeople. By the end of the evening, Huck can appreciate a new way of life — the three are now several hundred dollars richer. When he returns to the raft, Huck plays a horrible trick on Jim by assuming the guise of a slave hunter. Unamused, Jim rebukes Huck for the first time. After some thought, Huck realizes that Jim, though a slave, is still a human being and deserves an apology (“Worlds Apart”). The King and Duke reappear to dragoon Huck into their next escapade. While Jim is, again, left alone with the raft, the three encounter a young fool on a dock, singing of his love of his home state (“Arkansas”). Through no fault of his own, he tells the con men everything they need to know about a fortune to be inherited in the Wilkes family, and they crash the funeral as impostors to go about securing their riches (“How Blest We Are”). Huck — through it all a pure soul — sees that the beautiful and innocent Mary Jane Wilkes is being robbed of her rightful inheritance by these “rapscallions”, and steals back her money from the King and the Duke as she mourns her father’s coffin (“You Oughta Be Here With Me”). He quickly stuffs the gold into her father’s coffin and hides behind it to avoid notice. When Mary Jane realizes what Huck has done, she asks that he remain with her and become her friend. For the first time in his life, he is moved by the actions of another (“Leavin’s Not the Only Way To Go”), yet he realizes that he has made a promise to Jim: one that transcends mere friendship. Huck returns again to the raft and finds the Duke tarred and feathered: he has sold Jim back into slavery for a mere forty dollars. Feeling guilty about what he has done, Huck pens a letter to Miss Watson, telling her where she can find the runaway Jim. After a momentary reprieve, Huck ends up feeling worse than ever. He tears up the letter and resolves to free Jim again, even if it means he will go to Hell (“Waiting For the Light To Shine” (Reprise)). Huck visits Mr. Phelps, the farmer to whom Jim has been sold, and is shocked to discover that he has been mistaken for Tom Sawyer, the Phelps’ nephew who is expected for a visit. Tom arrives later and is intercepted by Huck before he reaches the farm. Huck explains everything and Tom, delighted by the prospect for a grand adventure, decides to help Huck free Jim from his captors while pretending to be his own brother Sid. They find Jim imprisoned in a tiny cell and work to free him as he laments his desire to be free (“Free At Last”). Progress is slowed by Tom’s insistence of making sure that the circumstances of the escape match the adventure novels he has read, which includes notifying Phelps of the escape by an anonymous letter. As they free Jim, Tom is shot in the leg. Jim sacrifices his freedom to ensure Tom gets a doctor, and is about to be locked up again when Tom admits that Miss Watson has died, freeing Jim in her will. Jim decides to continue his trek to the North so that he may buy his family out of slavery, and Huck decides to continue westwards to escape any attempts to “civilize” him. They sit for a moment at the banks of the river, recalling their adventures together (“River In the Rain” (Reprise)). Jim reveals to Huck that the body they saw in the water was the dead body of Huck’s Pap. 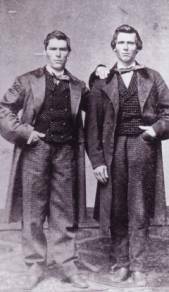 Jim leaves Huck alone for the last time, and Huck decides, “It was like the fortune Jim predicted long ago: considerable trouble and considerable joy.” He begins his next journey (“Muddy Water” (Reprise)). As always, feel free to ignore my opinions and rating. If yourself up the river with no paddle, so be it. Big River attempts something very difficult. It attempts to condense a very rich, long, remarkable novel into a 2 ½ hour Musical. It doesn’t entirely succeed, but the authors get points for trying. Roger Miller wrote catchy tunes in the American folk-pop-blues-bluegrass-gospel idioms, including the big hit song, “King Of The Road”. But a Broadway writer he’s not, at least as a lyricist, rhyming non rhymes such as “wind-again”, “education-aggravatin”, “over-loafer”, “seen-dreamed”, “enough-touch”, you get the idea. The numbers are sometimes only marginally tied to the show, such as “Guv’ment”, and “Hand For The Hog”. They aren’t terrible numbers, they’re okay as nuimbers – they just don’t have much to do with the story. And it’s a rich story, perhaps the greatest American novel. It deserved to be told in an intelligent and comprehensive manner true to the book, and as a Musical, in a way where everything presented contributed to the story development. That did not happen here. What’s more, some of the music is pretty derivative. The clever opening number works okay, and so does “Muddy Waters”. (I laughed when I heard “Hand For The Hog”, though what it has to do with the story, I could not tell you.) But most of the aggressive and quick tempo pieces are weak, and pointless in relation to the story. Miller showed a nicer touch when he wrote the blues/gospel-influenced “The Crossing”, though it is musically simplistic. “The River In The Rain” also was promising, but also loses some of its energy to a too-simplistic design, and the fact that he non rhymes “rain-same”, and “trouble-bubbles”, and repeats those non-rhymes often. It is a more effective number than most in the show, an almost pop mid-tempo duet for Jim and Huck. It just doesn’t forward the story much, though it shows the two bonding, I guess. “When The Sun Goes Down In The South” could have some of the appeal of the Old Actor and Mortimer in The Fantasticks, with an American swing. It’s cute, but not much more than cute. And it ends Act I, a forced and unnatural influx of energy that in no way forwards the story or provides the audience much of a reason to come back for Act II. In Act II, the pointlessness of the songs continue with the all-too aptly named “The Royal Nonesuch,” a large company number clearly written expressly as an attempt to start Act II as Act I began, with a big number. And so it goes. There’s little point to the songs as a rule. This is a mediocre score. The songs are simple and catchy enough, they just don’t mean anything to the story. Unfortunately in many regards, the last show the great composer Kurt Weill was working on when he passed away in 1950 was a musical version of Huckleberry Finn, with lyrics by Maxwell Anderson – and the six songs they completed before Weill’s death were gorgeous. He said he wanted to flood this great American tale with music, and was well on his way to doing so. The songs have been recorded. If you want to know what Huck Finn could potentially be in the hands an expert musical dramatist, take a listen. There are a few on youtube, kind-of well done and fun, all interesting and surprising. Here’s some links. The show starts out with a large cast, many boys and townsfolk. But then, it quickly breaks into a series of small scenes, dictated by the Twain story, which is essentially intimate. I think it would be fascinating to see the story told by about 6 to 10 actors. Could that approach work for Big River, and make it more producable for smaller groups? Probably not, I’m afraid, it wasn’t written to be done that way, it isn’t flexible enough. There’s too many choral numbers built in, it’s part of the show’s strength. That said, you could probably do the show with a cast of about 16, judiciously doubling. The sets are simple enough, the orchestration quite small for a musical. This is a smaller mid-sized show, which makes it an interesting show to consider for many theater companies with smaller stages, and limited resources. And there’s that Twain story. That marvelous, powerful Twain story, the greatest tale by America’s greatest writer. It’s power cannot be checked even by the mediocrity of some (not all, by far) of the score and script. It is a mighty and deeply moving story, funny and irreverent, frightening and disturbing. It deserves a mighty telling, which I’m sure it will have some day. In Act II of Hal Holbrook’s brilliant 1-man show, Mark Twain Tonight, performing as Twain, Holbrook brilliantly relates some of this story. It’s wonderful theater. It’s on You Tube (for now). Use these links to watch Holbrook tell part of the Huck Finn Story. If you’re considering doing this show, you’ll want to see how a master showman – Twain himself – might have shared it with a live audience. This is one of the simplest scores to play, to teach and learn. It’s, in fact, a bit simplistic. The sound is “countrified”, and your Musical Director must be comfortable with that kind of music. Your cast should handle close harmonies well. Cast fine voices, you’ll need to make the most of the score and it’s rather limited range and appeal. Actors who can sing with genuine feeling would be a big step in the right direction, especially your leads. Your fiddle player needs to be very strong, and your banjo also a pro. And you’ll need a good harmonica player. Jim – Baritone. A legit sort of baritone with a round mid register, fair high notes. Must sing with passion, from deep within. The King – Baritone. Sings with comic timing, character-driven voice. (Can double early part of Act I. May need more voice for that.) Must sing with southern accent. The Duke – Tenor. Character-driven voice with some sophistication. (Can double early Act I.) Must sing with a quasi-high Brit accent. Tom – Tenor. Clear voice, good mid-range, good belt, fine singer. Able to handle a very rapid patter verse with great dexterity and clarity. Must sing with mid-west/southern accent. Young Fool – Tenor. Solid mid-range belt, must sing with southern accent. Mary Jane – Mezzo. A beautiful, clear, legit Musical Theater voice with warmth. One of your best voices. Widow Douglas – Mezzo. Good harmonizing, clean belt. Must sing with accent. Miss Watson – Soprano. Good harmonizing, clean belt. Must sing with accent. Ensemble – All must belt, harmonize well, sing gospel-type material well. There’s potential for a fair amount of movement and some dance in this show. The movement, like the music, will need to feel countrified, legit, southern and mid-west 1850s. It can’t get at all “Broadway”, and the less “staged” things look, the better. This does not preclude actual choreography in some numbers from taking place, but it does limit the look and feel of that choreography. A Choreographer is likely to be involved in staging “Do Ya’ Wanna Go To Heaven”, “The Boys,“When The Sun Goes Down In The South”, “The Royal Nonesuch”, “Arkansas”, “Waitin’ For The Light To Shine” reprise, and “Free At Last”. “Do Ya’ Wanna Go To Heaven” is a big opening number that places Huck smack at the center of the town’s interest and controversy. Everyone has a plan for the boy except Huck himself. He’s a young man waiting to find out who he is, what he ought to do. So he’s physically at the center of the proceedings, harped at, nagged, cajoled, lectured to, depending on who’s talking at him, which is everyone. It should be funny, perhaps a bit overwhelming for Huck. We should feel for him. “The Boys” is sung by Huck, Tom and a few other boys forming a potentially violent (but completely harmless) club. It is a celebration of youth, youthful energy and entrepreneurship, and of boundless possibilities, as seen by Tom Sawyer. The boys are boys, don’t get into any kind of Broadway staging, it will destroy the truth of the number. They’re scheming, they are joined at the hop except they’re not, and they m,ay not want the whole world to hear their plan. Make it fun, give each boy a unique personality, try to avoid choral staging where they all do the same thing, overall. “When The Sun Goes Down In The South” is intended to end Act I with a lot of noise and energy. A plan is being hatched, and it seems brilliant to the not-very-bright people hatching it. They will now proceed to conquer the world! A hoe-down for three actors, basically. Make it fun, get the audience involved if possible. And remember that the King and Duke are not really good guys. They are using Huck and Jim, as they use everyone. “The Royal Nonesuch” is the execution of their lame plan, and is intended to start Act II with a high-energy number. It does, I guess. Make it pretty silly, these men know nothing about putting on a show, and the audience, unwashed though they be, haven’t much of a hard time figuring out that fact. The King should look outrageous in a patch-work way. They have built his costume from stolen clothing and articles – perhaps a townswoman recognizes one of her table cloths? A show within a show, badly done, amateurish, comic in its unprofessionalism. “Waitin’ For The Light To Shine” reprise is high energy gospel-like joy, a celebration again of better days to come. But Huck is alone, the others are in his mind, so to speak. There should not be contact between Huck and the Black cast members singing with him. The song means something different for each actor up there, and you should fine ways to show that. “Free At Last” should be deeply felt, simple, more staged than choreographed. Keep it away from phony church/gospel expression. The show could use an experienced Choreographer, but does not need one who has staged a hundred shows. A Choreographer with good taste, good sense, and a good feel for this sort of music and movement will do. Huck – A fascinating and complex boy in his mid-teens. (Probably cast 18-and-over for the role.) Determined to be a true expression of who he is, whoever that is. Bright, resourceful, a clever liar. He’s a survivor, and is often fearless. He struggles with what others tell him is moral, but in the end, “surrenders” to what he himself believes is right – and his inner compass is infallible, though it gives him plenty of trouble with others. The ultimate American, the living and breathing core of the ultimate American story. He has a streak of luck a mile wide, by the way, and takes it for granted. Requires a truly fine actor who can do the accent, sing well, move well, looks the part. A star. Jim – 30-45. A strong, aware, unschooled Black man, a slave who will do anything for freedom, and to be reunited with his family. Mistrustful of all White people, until Huck and Tom earn his trust, and it takes some doing. A good and loving man who goes out of his way to spare Huck pain and suffering. Cast for acting, type, voice. The King – Over 50, gray-bearded, wears a slouch hat and blue jean overcoat with brass buttons. He says “Preaching’s my specialty.” He’s also “The late Dolphin,” or “Dauphin”. In other words, a compulsive and grandiose liar. And in the end, a violent, vile man, bigoted and heartless. Cast for acting, type, voice, some movement. Might do some doubling early in the show. The Duke – Younger than the King, with a histrionic flair. An “actor.” Melodramatic. Perhaps a somewhat plastic British accent? Pretentious, poorly schooled though he portrays himself as anything but. Another liar, without the edge of the King – doomed to pay for the King’s misdeeds. Must express physical pain believably, when tarred and feathered. Cast for acting, type, voice, some movement. Might do some doubling early in the show. Pap – A large, frightening man in his 30s-40s. A man who has suffered a horrible loss (his wife) and never recovered, giving himself over severely to drink and ruin. A wreck of a man with uncontrollable anger, capable of inflicting physical harm on others Though Huck seems to handle him well, there can be no doubt the boy’s afraid of his father. Cast for type, acting, voice. Should double. Tom – The unstoppable, head-first, imagination-plus Tom Sawyer, mid-teens like Huck. Huck’s best friend, a leader among boys. Certainly cleverer than any living human being, if you ask him. Courageous, a hell-raiser, unbeatable. Cast for acting, type, voice, movement. Must do all well. Young Fool – An Arkansas…um, well, idiot. Missing teeth, maybe. A bumpkin. Cast for acting, type, voice, some movement. Will double. Mary Jane – A very pretty young woman, in her late teens, perhaps. A bright, loving girl who is a bit (but not too much) over her head with a death in the family. Huck’s love interest, and we should see why. Cast for type, voice, acting. Must do all well. Judge – 40s-50s. An easily annoyed, by-the-books type. Cast for acting, type, some voice. Will double. Widow Douglas – Late 40s-50s. A good Christian woman who is, indeed, at the core a good Christian. She will do the right, loving and practical thing, after a holier-than-thou tirade or two. Cast for type, acting, voice. Will double later in the show. Miss Watson – Late 40s-50s. A spinster, we suspect. Harsh, narrow-minded, judgmental, fundamentalist. Cast for acting, type, voice, Will double. Ensemble – At least 2-3 Black actresses, 1 Black actor, minimum. The rest are White, southern/mid-west accents. All must do some acting, all must sing well, and move decently. Also, you’ll need a minimum of two boys outside of Huck and Tom, about the same age but of varying types, who must act, sing, and dance well. A show built for a unit set. Usually something like a pier in front of a river, with levels to place alternating scenes, and a large playing area down center. The traffic flow of scenes should be simple for any experienced Director. Stay away from anything literal in the set. The Big River is the set, and we see it in a spectacular backdrop of some sort, one that can be lit for moonlight and sparkling sunlight. That river should be somewhat magical, anything can happen on it! On that river, men die, go free, and discover love, friendship and self. Smaller “settings” like the Widow Douglas’ kitchen, the lean-to built by Jim, the funeral parlor in Act II should all be represented by singular pieces of furniture brought on and off by cast or machine. But keep this very simple. Don’t get at all literal. Isolate such scenes using lighting. Try to never hide the river. A job for an experienced and artful Designer, who may need some mechanical assistance with the raft. 1850s mid-west and south. The older women in period dresses and appropriate outer garments. The boys are young roughnecks in destroyed slacks, worn cotton or wool shirts, straw hats and the like. The costuming is likely to be pretty close to various films of the story that have been made, and are easily researched, as can be seen below. Most of the dresses, overcoats, men’s more formalized ware, will probably need to be rented. The boys, the slaves can be manufactured out of existing clothes in closets, thrift stores, and off the rack, to a large degree. A big catfish. Fishing line and a pole. The pole on the raft. Theater stuff for the Duke. Rifles for slavers. Chains for slaves, and manacles. A knife for Pa. There’s likely to be a lot of props in this show. Work closely with your Director, start the job early, keep everything in the 1850 period. A job for an experienced Prop Master. Very important to a show that demands control over the moods created. A lot of night time on the river scenes, and daylight on the water scenes. Follow spots? Not sure, I think they will make the piece reek of theater is a bad way, except when used as a part of the show-within-the-show in Act II, the “Nonesuch.” But you’ll need a complex, supple lighting plot and a good board. No job for a novice. Unobtrusive, usually. The women of Huck’s home town can be made-up per the period, but don’t go crazy. The kids are “dirty”, with dirty faces. Pa is physically falling apart, experiencing D.T.s. Not too tough an assignment for an experienced Make-Up Designer. Director, Musical Director, Choreographer, Set Designer, Costume Designer, Lighting Director, Huck, Jim, Tom. The Adventures of Huckleberry Finn is one of the most important novels ever written. It’s also one of the most fun, and moving. It is an experience everyone should have, and given lowered literacy rates and dropping functional literacy in our time, this show is a potentially sweet, fun, theatrical way to present the tale to audiences, particularly young ones. Though some scenes like Pa trying to kill his son, and some of the stuff done to Jim, can be hard to stomach. Parents bringing kids to this show should plan on talking to them afterwords. A good show to have discussions with your audience after! I do believe this show will benefit from a strong Directorial hand who will keep things simple, and allow that central image of a river to carry the show effortlessly. The story needs no help, it cannot help but move a reader or audience. Stay out of the story’s way, go for a feeling of truth.